Art Profolio was the very first book of its kind! 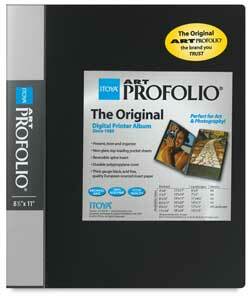 Since 1984, the Art Profolio has represented the ultimate in polypropylene presentation/display book innovation. The Profolio I-Series features a durable black polypropylene cover and clear polypropylene pocket sheets with pre-inserted mounting papers. It comfortably accommodates as few as six pocket sheets (12 images) or as many as 90 pocket sheets (180 images). Other features include an interior storage pocket and a reversible spine insert for customized labeling. 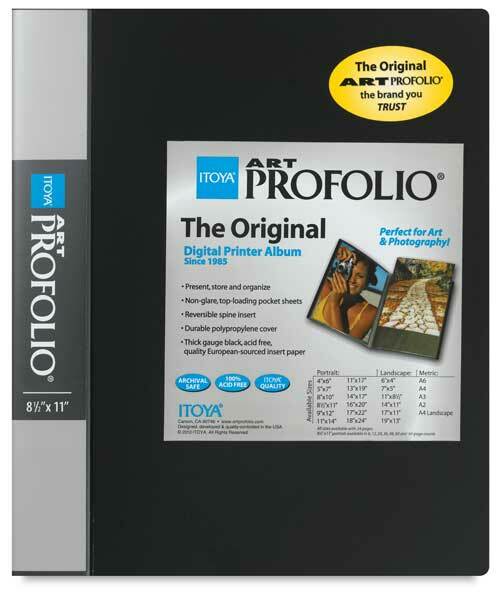 Each Profolio accommodates 11" × 8½" sheets. ® Itoya is a registered trademark.® Profolio is a registered trademark.